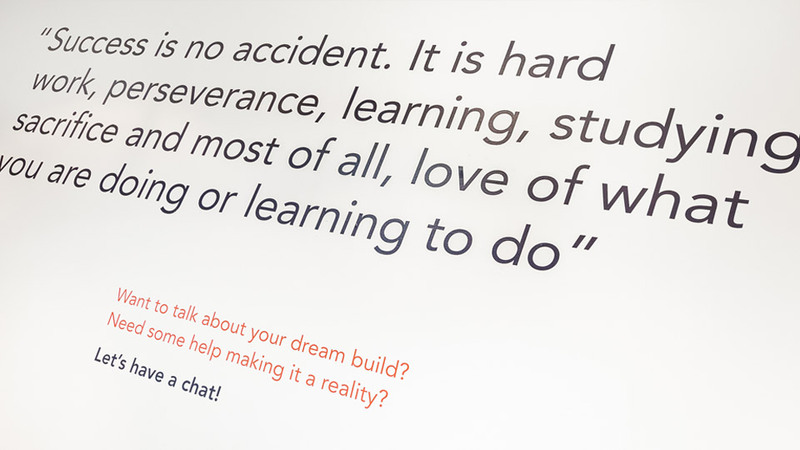 It’s rare that a client arrives with a dream project, but it’s safe to say that with a studio full of Derby County fans, this was one of them. 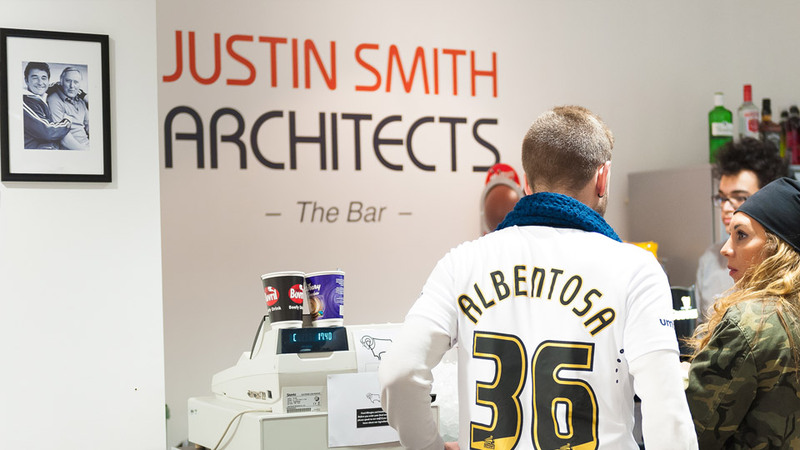 Justin Smith Architects, A Derby based Architectural practice secured sponsorship of the Players Lounge for two years and wanted to make this a great destination for the players and their close family. 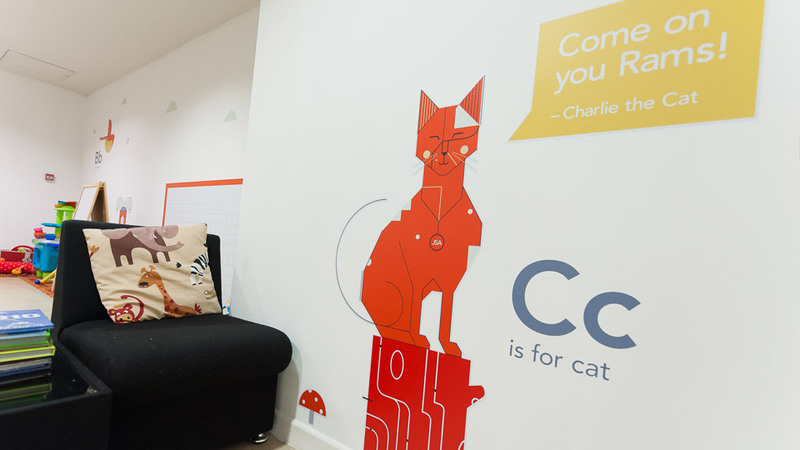 Having helped JSA put together promotional materials for their Signature Design and Value Design services, so we already had a strong understanding of the brand when the team put pencil to paper and began sketching ideas. 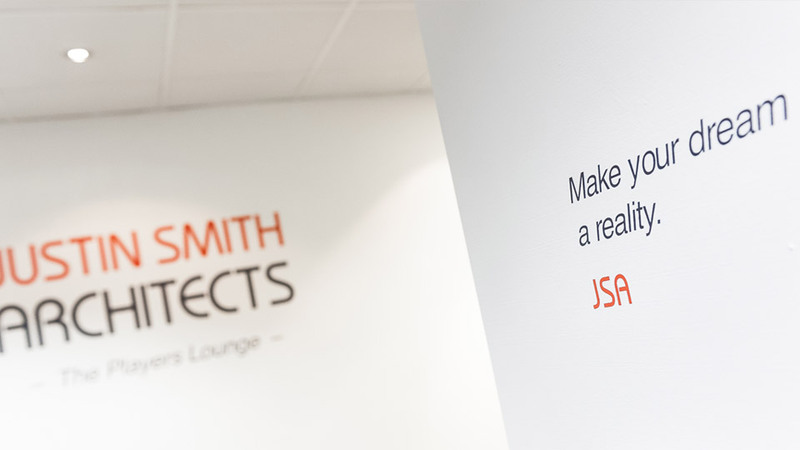 We split the project into exterior and interior phases, allowing JSA to make the most of the exterior advertising, while we planned the interior. 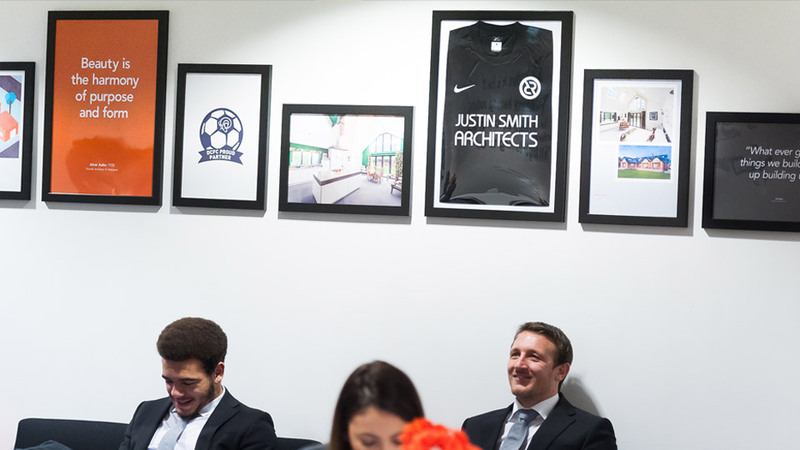 Introducing child friendly, yet architecturally driven illustration to the play area, a selection of frames featuring a JSA branded football shirt and a strong logo wall, the final results have been well received by Justin and the club.